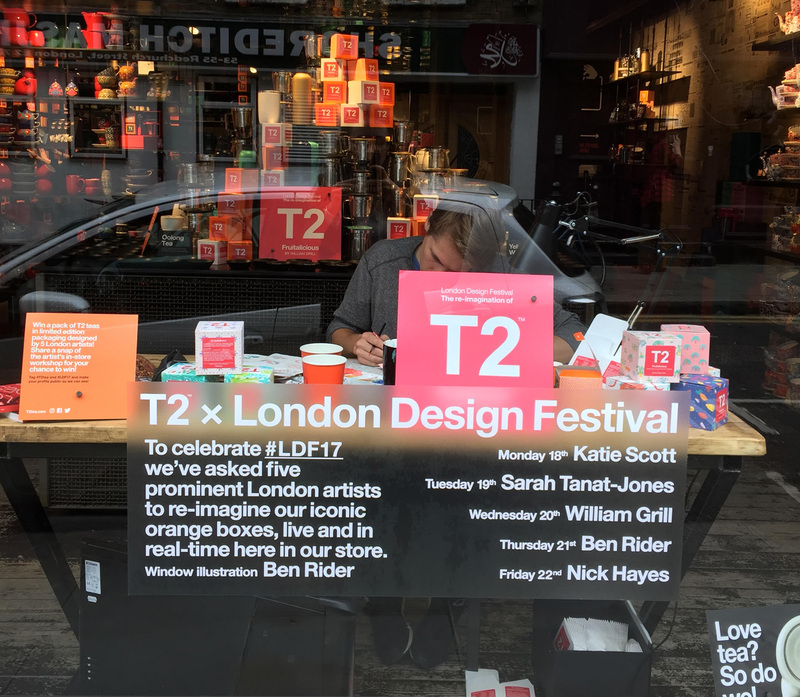 Two of our artists – William Grill and Nick Hayes – were selected to take part in a live event at the T2 Tea store in Shoreditch, as part of London Design Festival 2017. T2’s iconic orange boxes were turned to blank canvasses, as each artist created limited-edition designs directly onto the surface. Selecting one of T2’s special blends, they used its flavour and smell as inspiration to visually express the tea. William Grill (left) uses gouache paints, and Nick Hayes (right) carves lino for monoprinting.